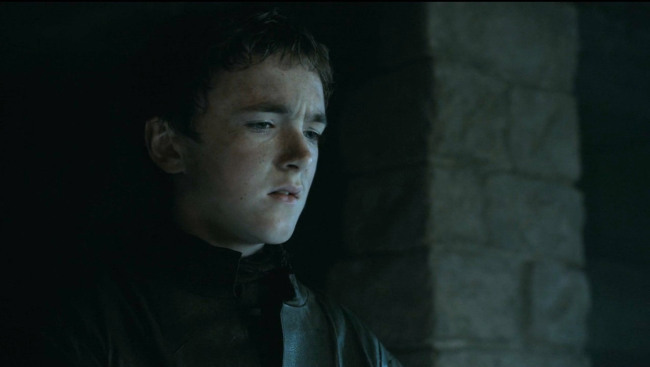 This article will kick off a series of posts defending Olly, the farm boy and raid survivor turned Night’s Watch recruit in Game of Thrones. If you’re not up to date on the series through the end of season 5, you probably don’t want to be reading this article. If you really really hate Olly, I assume you’d not want to read this article either. Poor Olly. Everyone knows how to read. But me. 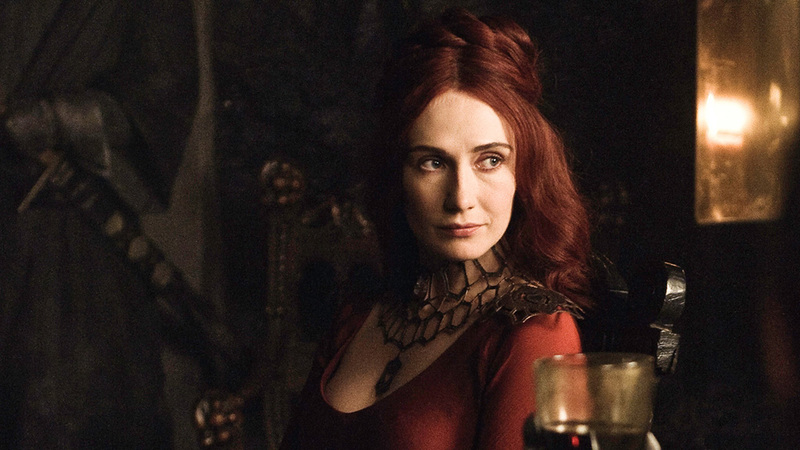 – or possibly as the result of a fatal leech-centered magical ritual, the show lost its focal point for villainy. Ramsay Snow (or Bolton, if you must) was a fine runner-up as show villain, but after Stannis Baratheon sacrificed his daughter, people were actually rooting for Ramsay to defeat Stannis in their upcoming conflict. And maybe flay Stannis as punishment for the crime of filicide. But then little orphan Olly, as part of a team of conspirators, lured Jon Snow into an improv performance of Julius Caesar. Boom. Olly was the new show villain. Seriously? It’s RamsAy, not RamsEy. Seven Hells. Now, I might be over-exaggerating how Olly is perceived, and I shouldn’t imply that everyone feels this way. 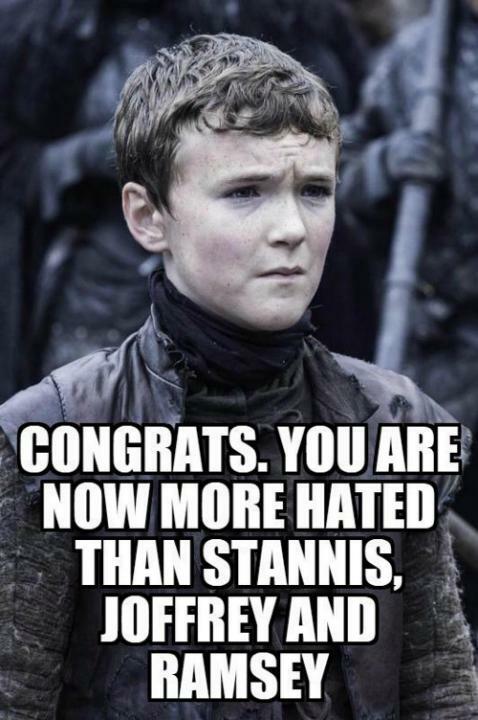 But Olly does seem to attract a disproportionate amount of hate compared to Stannis, Joffrey, and Ramsay. Why is that? I’ve always felt sympathy for the little northerner, ever since his family was murdered before his eyes and put on the dinner menu by Thenns. So it seemed like a reasonable topic for me to explore. He’s… a lazy narrative device, combined with being a non-book character? Something abstract like that. To be clear, it’s not a case where I support Olly because I don’t like Jon Snow or anything like that. 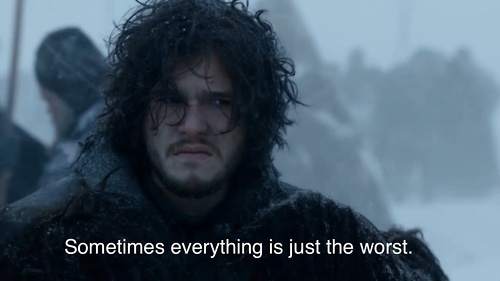 I love Jon Snow. Hopefully I’ll be able to convince one Olly-hater that Olly might not be that bad. Or maybe this reflection will bring me over to the anti-Olly camp. I’ll start things off with the next post, but I’ll bring up a disclaimer here. Ironically, because Olly is not a book character but is a show-invention, I’ll be mentioning some book details in regards to Jon’s story and Ygritte’s story at least. 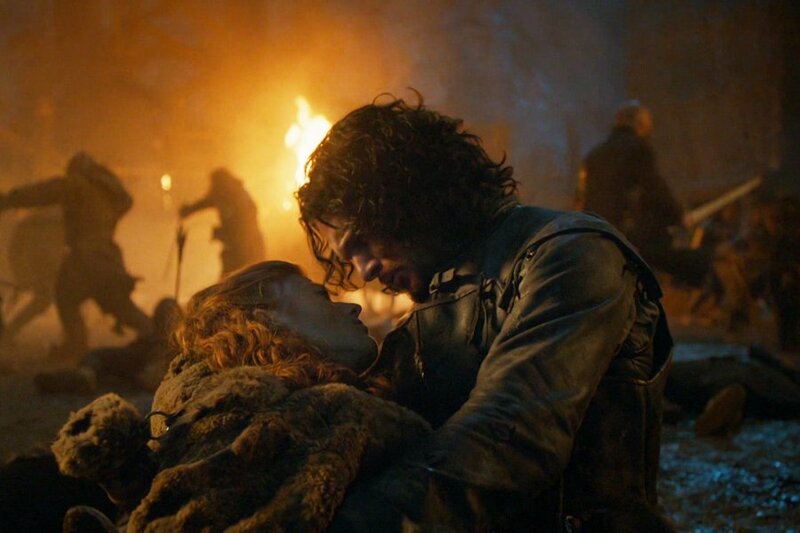 I won’t be dropping future spoilers because, well, the show has pretty much caught up with Ygritte and Jon’s story. Ygritte: Is that you, Peeta? Jon: Gale? Can’t I be Finnick? I think we’re all pretty much on the same page. But if you don’t want to read any book detail comparisons for what’s already been show, I understand you not wanting to read more. If that’s the case, we’ll just assume that you agree with me. Boom. Ooh, all these posts to keep me entertained on the plane to GoT land tomorrow, thank you! I WAS Team Olly until, you know, that thing happened! So I’ll look forward to reading your case files! That’s excellent! I’ll keep an eye on your blog for when you post photos. Oh man! It was SO COLD over here! I’m too excited at the moment to read all the posts yet – I am SO. THRILLED. you are writing this series! Wooo!!! This is getting interesting! I am not sure how I feel about Olly! They did built the scenes in the series well enough to let us know that he is gonna do something against Jon someday…So wasn’t too unexpected. But yeah.. catching up on the rest. Thanks, and no matter how you feel about Olly, I’m glad you’re hear, and leaving comments. Very entertaining. The meme is spot on! Good start , i will keep reading and see how it pans out.